Hello friends! 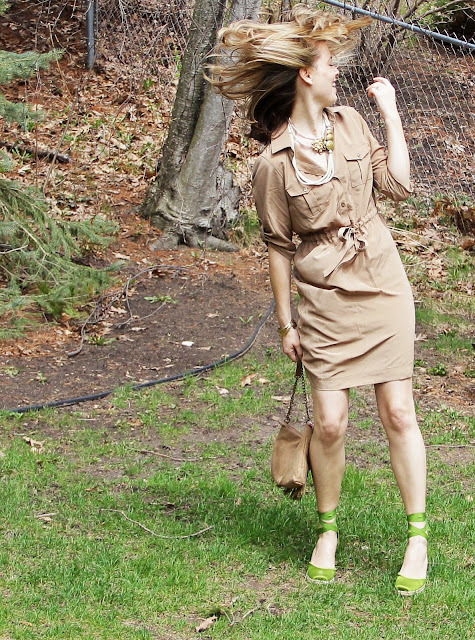 It was a terribly windy day today, so outdoor pictures were a little haphazard. I loved wearing this khaki color in the form of a simple silky dress and accessorizing with white and gold, plus that little pop of color down below. I've recently moved all the rugs around at home. We had our carpets shampooed and when it was time to put everything back in it's place, I decided to mix things up a bit instead, placing them elsewhere. I crave change in my home decor, so things are always moving around. 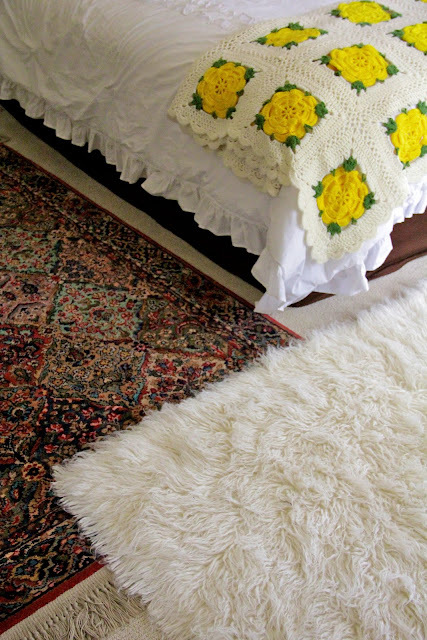 I thought I'd try layering 2 rugs in our bedroom to create a more bohemian look and feeling in that particular space. 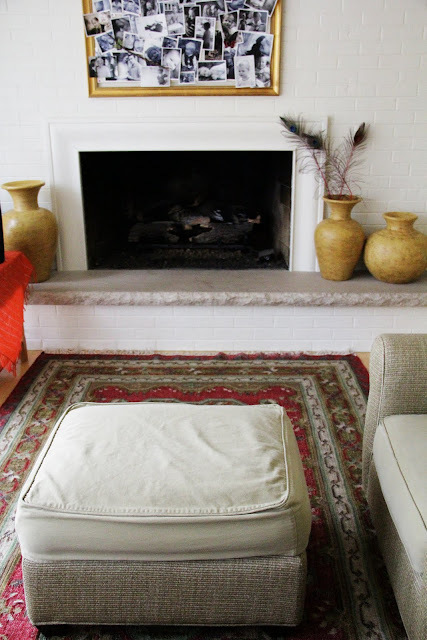 And I've taken the living room rug and put it by the fireplace which works wonders for the room as it's a large rug and fits the space perfectly. Makes much more sense there. 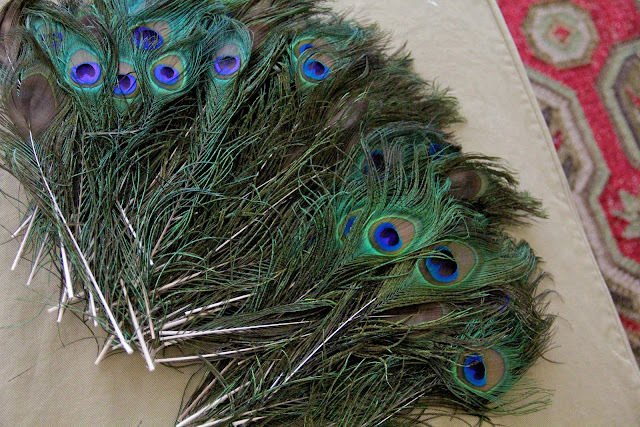 100 vibrant peacock feathers that will be used in some fancy candlelit decor soon. Hope you're having a splendid weekend!